Hospitals, facility planners, architects and contractors can leverage the financial benefits of the In-Dapt OR Ceiling System versus traditional or traditional or Single Large Diffuser (SLD) OR ceiling systems. 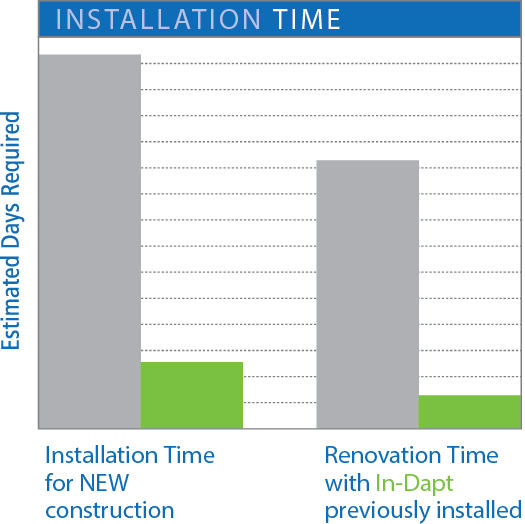 Significant time and cost savings are a reality for new OR construction, and renovations. 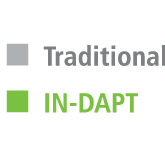 In the future, when In-Dapt has been previously installed, renovation time is reduced from 30 days to hours, representing a significant cost savings. 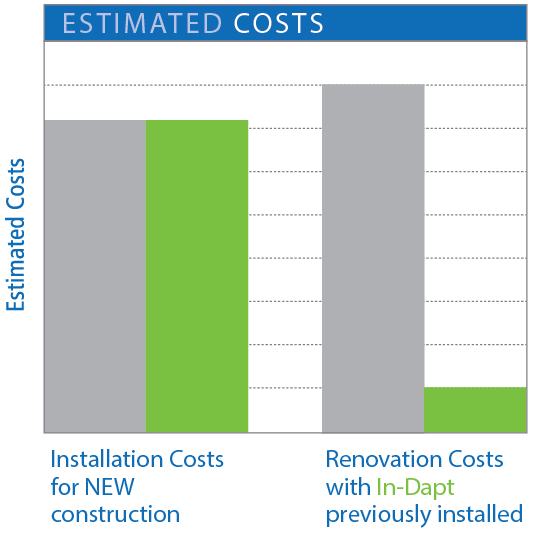 Renovation costs with In-Dapt previously installed are an estimated 25 times lower than when using traditional or currently available SLD OR ceiling systems. or e-mail for a personal discussion of this new system.